The Instrument Rating is both the wisest and most logical course to enroll upon completion of the Private Pilot Certificate. Though not a separate certificate, this rating will enable a pilot to fly through weather having low visibility and/or ceilings, which are below the minimums for VFR flight. 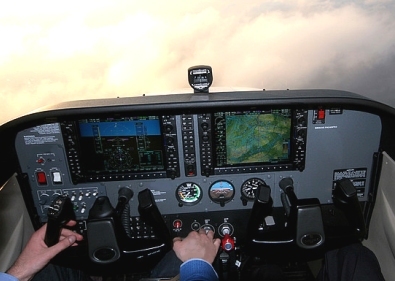 The the Elite RC-1 ATD simulator may be used in lieu of aircraft time at the discretion of the instructor.